Kashmiri Cuisine has a variety of yakhni dishes, both veg and non veg. Yakhni means broth or shorba. It is actually made by boiling chicken or meat pieces and the stock is used in preparing yakhni dishes.. Sometime during British Raj, Yakhni was modified for the vegetarian appetite, and Yakhni sauce was created. 'Yakhni Sauce' is just a thin white sauce made with yogurt and the same aromatic spices used to make 'Yakhni Shorba'. . Yakhni sauce can be used to make Paneer Yakhni, Vegetable Kofta (Lauki Kofta, Lotus Root Kofta - Yakhni. Nadru or lotus stem is a very popular vegetable in Kashmir. This recipe is very easy. Lotus stems are cooked with yogurt and aromatic spices. Traditionally yakhni dishes have a thin gravy with a generous amount of ghee. Some people prefer thickening it with besan/ gram flour. But I like the original version better. The gravy has a lovely taste of the spice powders used in the recipe. 1. Heat 1 tbsp ghee in a pan and add the black cardamoms and cinnamon stick. 2. When you get a nice aroma of the spices add the onion paste. 3. Saute it a little and tip in the lotus stem pieces. 5. Now in a different pan heat the remaining ghee and add the spice powders and powdered mint. Maintain low flame. 6. Whisk the yogurt and add to the pan. Continue to mix with a spatula to avoid curdling. 7. Mix this into the cooked lotus stem and simmer for a minute. Such a yummy comforting curry ..Got to know about kashmiri cuisine as well.. I have never heard of a yoghurt gravy before, but I love anything with yoghurt in it. Do try it sometime.. It is very light on the stomach and easy to prepare. I've never made lotus stems before, but I love the idea of a yogurt gravy! That warm spice combination sounds lovely. Oh, interesting! I know about the use of lotus in Japanese cooking, but not Kashmiri (which is so different!) I can get one, sometimes, but have hesitated because I didn't know how I would use it all - and now I have options! Yes Anne, even here in Brazil I buy them from a Japanese store.. They use them a lot too. I tried my first yogurt gravy earlier this year and it was lovely. Never had lotus stems but this sounds like a delicious meatless Monday meal! 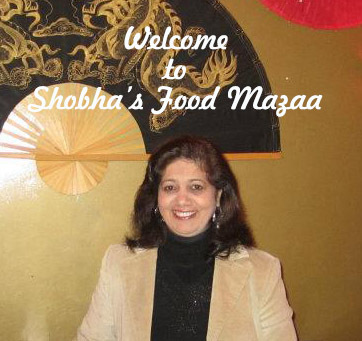 Shobha, I love lotus root and this recipe looks awesome!